This week we had the opportunity to join friends at a “swamp walk” that we heard of years ago. It was beautiful, but mixed with the beauty we saw a huge alligator and two snakes. Nobody knows how many we didn’t see! Moss hung from branches all around us. Far in the distance white egrets and some large pink feathered birds (spoonbill?) 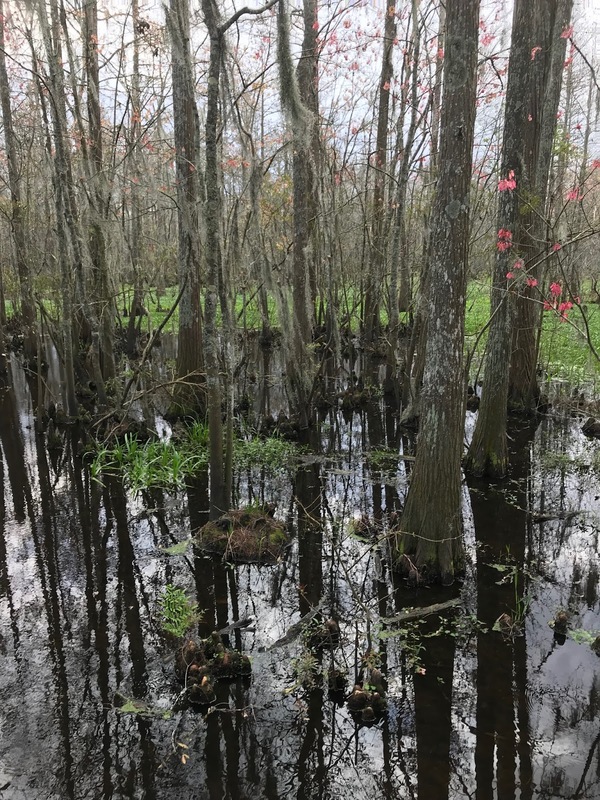 fished and swam by the cypress knees. We carefully stayed on the wooden path right above the dark water. It is amazing to imagine how life was in the Garden of Eden. Perfect. No sin. All of creation living together. Adam naming each animal. Do you think any of our common names resemble those original names? Alligator. I imagine it was in ways similar to Louisiana. Not the swamp, but the humidity, though maybe not as hot temperatures as our weather can reach. I love nature walks...but maybe more so here in the Pacific Northwest where there are no alligators! 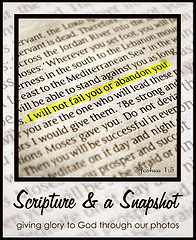 Linking up with you this week...I don't really have a snapshot because I wanted to share the new supplies I am using for my Bible Journaling. On our honeymoon, my husband and I visited Magnolia Gardens in SC and saw several alligators in their swamp. Really cool. We first heard of this place when someone told us he proposed there. The egrets and pink birds sound wonderful, thank you for sharing!